Red, White, and Blue! Support the Republican Party and make a political statement with this fine-crafted American tie. A classy way to show your political leanings. 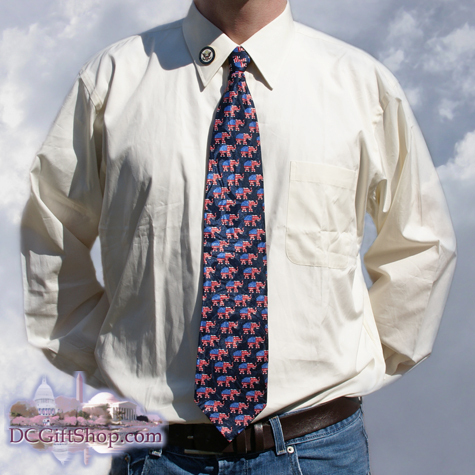 The Republican Party Tie features an American flag pattern on elephants with a black background. The elephants are surrounded by the stars and strips. Hand made, approximately 58 inches long, 4 inches wide at widest point.